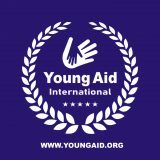 Young Aid International is a nonprofit, non-governmental, non-religious and non-bias humanitarian organization that focuses on the development and well being of the vulnerable group in the society, providing aid to women and children affected and in danger of arm conflict.VISION: To ensure a healthy society where children, young people and women will attain their full potentials thereby contributing to national development.MISSION: Rebuild a child’s hope and confidence in the society with no ground for malnutrition, to provide Child Protection, basic education, child support, shelter and to empower girl child and women in the life changing phase and resilience. - To have a healthy society where children will grow to their full potentials, devoid of malnutrition and other avoidable deceases. - To improve the living condition of vulnerable women by empowering them to be educated and self reliance. - To ensure the practice of basic sanitation and hygiene through integrated wash program in the rural and urban communities.